Whether you are looking to heat the garage whilst you are working in it, or if you simply want to add supplemental or additional heat to a room in your home, this Lasko 6405 Designer Series Ceramic Oscillating Heater may be the best oscillating ceramic heater for your needs. With features such as a thermostat on the timer, this is a convenient and useful heater for your home or work needs. Check out this in-depth review to find out all of the advantages and features that you can expect to enjoy when you choose to buy this heater. There are many greats benefits to be enjoyed when you choose this heater. From simple operation to easy setup, you will find that there are many advantages in comparison to other heaters. 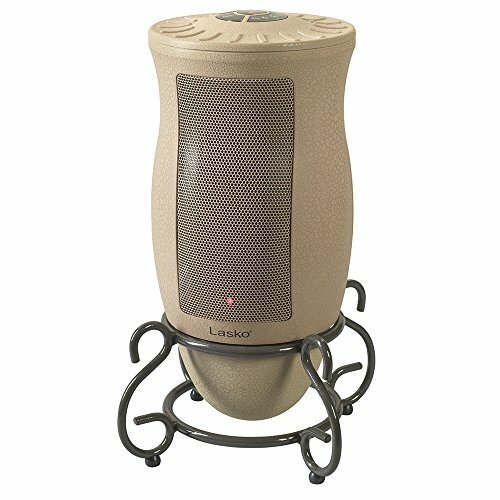 This heater is incredibly easy to use. When you take it out of its box, you will notice that there is no set up that is required. It also comes with easy to follow the user instructions so that you will be able to use it straight away. Even if you have lost the instruction manual, you won’t have any difficulties in operating this heater, as it is so straightforward. The decorative appearance of this heater makes it’s much more attractive than most other heaters on the market. This will make it far easier heater to match your current décor. 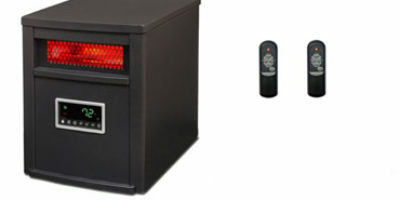 This heater heats up very quickly so what you don’t need to worry about wasting time waiting for their room to get warm. 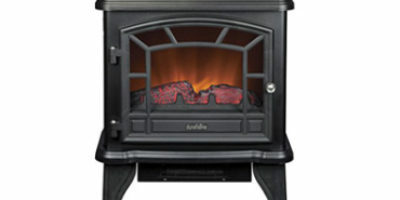 It also offers features to help you to get the most out of it, making this a versatile heater. In addition to some great advantages, this oscillating heater comes with some great features to make this heater even more enjoyable to use. The various user controls and design features ensure that this is a versatile and useful appliance. 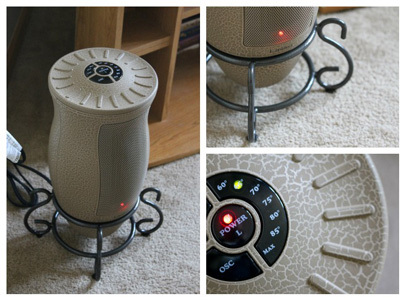 An oscillating feature is built into the design of this heater. You can choose to turn this function off if you wish, however, the oscillating motion allows heat to be spread more evenly throughout the entire room. Remote control is included so that you will be able to operate the heater from any location around the room. This means that you will not need to get up and physically move to the heater in order to change the settings or to turn it off. This adds some more convenience when you need it. A timer feature is included so that you can set up the heater to switch off after a certain amount of time. This helps you to have more control over energy consumption as well as offering a safety feature so that you don’t have to worry about accidentally leaving the heater on if you leave the room. This heater comes with a three-year limited manufacturer’s warranty. Automatic overheat protection ensures that this heater will not overheat and as a result, the parts will not wear out quickly. This heater will cool down very quickly when it is turned off. This means that it is not as effective as keeping the room warm as some other forms of heating such as convection heaters. If you will be leaving the room as soon as you have turned off the heater, however, this is not likely to matter. The Lasko 6405 Designer Series Ceramic Oscillating Heater is a great choice when you need a good-looking heater that will provide you with plenty of warmth quickly and when you need it. Whether you wish to add extra heat to a room in your home that is still fairly cold even with your home’s central heating system, Or if you simply need fajita for your garage, this model is likely to provide the heat that you need. Because you can see, there are plenty of great advantages and features that you can enjoy when you choose to buy this heater. There are also many negative points to using this heater, but you must ensure that you measure your space well so that you can be sure that this heater will be sufficient.